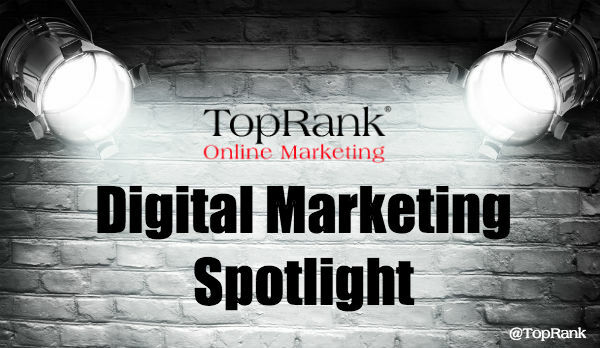 Star light, star bright, which digital marketer is next in our spotlight? Well, it’s John Bell of course, Vice President of Enterprise Digital Marketing at Travelers. John joined Travelers after 13 years at Ogilvy & Mather where he founded [email protected], a global social and digital marketing practice. There, John drove digital and social strategy and programs for major brands including Ford, Nestlé, IBM, DuPont and more. You made a pretty big change from Managing Director at [email protected] to VP Enterprise Marketing at Travelers. What are some of the most transferable lessons you’ve learned moving from agency head to a senior marketing executive for a brand? There are some differences between my experience at Ogilvy and now leading Enterprise Digital Marketing for Travelers. Building a capability globally to serve many brands, many business models in an agency environment is one thing. Developing a new digital marketing discipline that is designed to help sell property and casualty insurance at the same time is another. The importance of establishing a learning and innovative culture within my team. We hire talented learners who have some key technical expertise – data-driven marketing, content creation, social media marketing and more – and they are willing to share that expertise. We all teach and learn, and we never feel like we know enough. Working in a matrix. It forces you to be thoughtful about socializing ideas, explaining and supporting your POV and being sensitive to the concerns of other business leaders and the goals they are measured against. Without question, you are a digital pioneer, having had many opportunities to develop new ways of marketing and put them into practice. Which of those innovations are you proudest of? We recently launched the Travelers Engagement Center. This is the nerve center of our digital marketing team. We surround ourselves with data displays that tell us how our content, advertising, search and social media are performing. This helps us live the dream of data-driven marketing. Not only does it inform decisions we have to make every day, these big windows into performance spark conversations within our team that helps uncover regular insights. It’s a terrifically different way to work. You’ve talked about the importance of putting social and data-driven content into action. What are some steps or best practices you can share on how marketers can make data a bigger part of what informs their marketing strategy? Any examples worth sharing? We hold weekly content marketing reviews. Our entire team comes together to look at the past two weeks of marketing performance and then looks ahead about two weeks. This shorter view helps us quickly look at the data and make decisions to strengthen an approach now, not during the next quarter. We watch trends on content. We might see an unusual spike of interest around business continuity planning content. That gives us the chance to dig in and promote that with even more targeted media. We saw a keen interest in cold weather planning content for business and consumers as early as October this year. We jumped on that with a quick paid and owned campaign. Different disciplines discuss the insights coming out of the data. That discussion and interaction is key. What advice can you give to marketing executives on making marketing technology choices? Do you prefer specialty tools or all purpose? I am a big believer in creating a meaningful marketing technology strategy to guide choices in “martech.” We all inherit a bunch of point solutions and if we are lucky these are pretty good platforms. But without a view of the marketing capabilities you want to develop and that are key to the business, it is too hard to choose technologies that will serve as a good foundation. Creating that martech strategy starts with identifying those core marketing capabilities that you must get better and better at. From that, you have a better view of what technology you need. For instance, ‘cultivating increasingly qualified leads that convert into business’ might be a priority. There’s a lot in that statement, especially the ‘increasingly qualified’ part which implies that you use data to refine the value of actual leads. Focusing on tech that will strengthen that then becomes the focus. How do you balance hiring more marketing staff vs. using outside vendors and agencies? What trends to you see in terms of outsourcing vs. insourcing marketing talent? This is a great question as I see things changing quite a bit. There’s great value in creating a ‘network team.’ This can span different groups within a company and also ‘partners’ from other companies. We need nimble teams that can grow and flex based upon what we learn. We also need a lot of fresh thinking pretty much all of the time. That being said, what I turn to from our agency partners is changing. We have a focus on content marketing. That content is so close to our expertise that it is difficult for us to outsource much of that content. Likewise, our data operation requires data sourcing from several places within Travelers. So, that is also difficult to outsource. I do look for help with media planning – being up on all of the new choices like new data partners for targeting. I also look for specific creative help around defined projects. We have some terrific agency partners, and I definitely think of them as part of the team. What are some of the priorities you think digital marketers should focus on in 2016? Different brands are at different places in their marketing journey. It’s tough to generalize where marketers should focus. If you just read the marketing trades, you would think we are all spinning up these hugely sophisticated data-driven, technology-laden organizations. It’s important to be appropriately focused on the mobile experience, shifting from advertising to content (and other ways to deliver customer value), and integrating social media into complete marketing programs. 1. Building infrastructure and models for better and better marketing attribution. We all need to increasingly demonstrate the impact of marketing on core bottom-line results. With a more complex customer journey and different influences on a purchase, we need to instrument more of our marketing across devices and figure out the contribution of each piece. 2. Operationalizing content marketing. Developing and delivering great content where we once just pumped out advertising is a different discipline. Those companies who have been exploring this must spend energy to invest in the people, process and technology to make this easier and more efficient. 3. Using video online to drive action and brand. As the value of TV commercials continues to wane, we all know that we need video to engage people. It’s one of the few media types that can communicate emotion so well. And emotion drives most purchase decisions. How to create really meaningful video content and get it to people when and where they want it is still very hard. No one wants pre-roll. How can brands shift to creating value via a digital video program. Many brands are working on that. I read a lot. I am old-school in that I still use an RSS feed reader that I first set up years ago. It gives me a great window into a ton of great thinking. Of course, I then pile Twitter, Flipboard, LinkedIn and a few other sources on top. Oh, and I talk to human beings. I never get tired of that. My Space – Don’t call it a comeback….